Women and men alike struggle with hair thinning and hair loss. 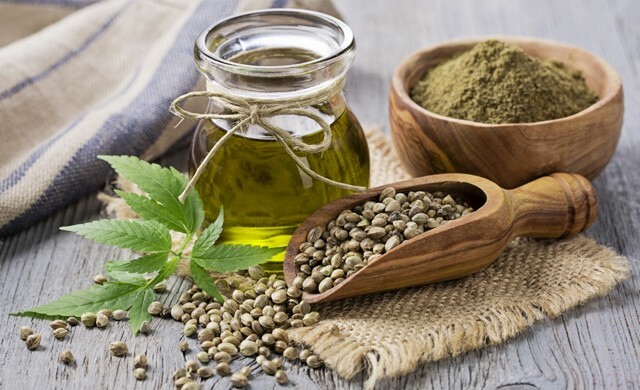 With everything from improper nutrition to daily stress taking its toll on our well-being, it’s no wonder so many turn to medications, topical treatments, and even hair transplants to experience the confidence that only strong, healthy hair can provide. 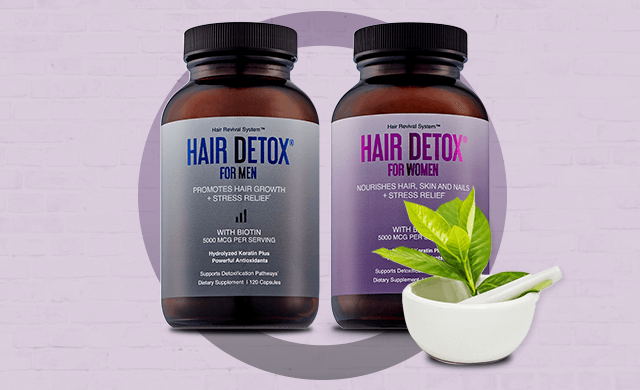 If you are ready to take action for your hair and overall health, then Hair Detox hair regrowth supplements are right for you. Did you know the number of men expected to suffer from hair loss in 2021 is 64.7 million? That is a 12.8 percent increase over the current 59.8 million male sufferers, assuming the number of hair loss incidences across age groups remains constant. The rise in hair loss seems to be even more dramatic in women, with one-third of all women over 18 experiencing some sort of thinning hair. This includes more than half of women over the age of 65. No matter what treatments you may have tried in the past, it’s time to push aside your discouragement. 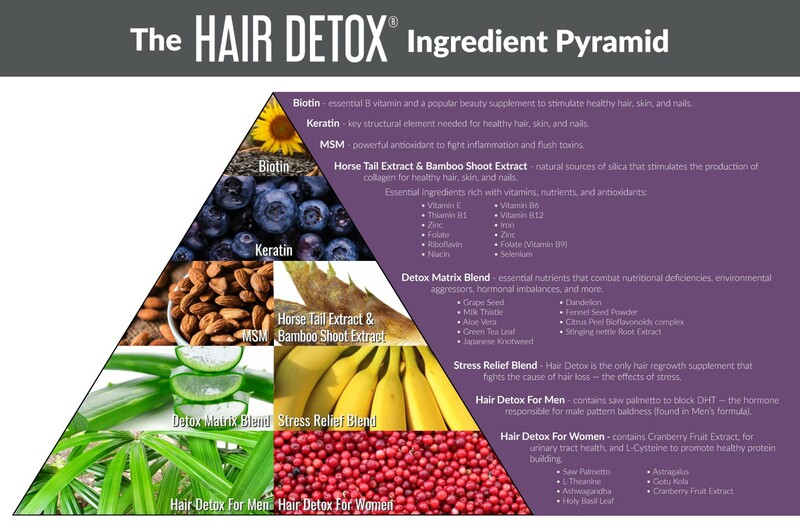 Hair Detox gets to the source of the problem. Our herbal treatment for hair loss is right for anyone who wants to address all aspects of their body, including their stress levels. 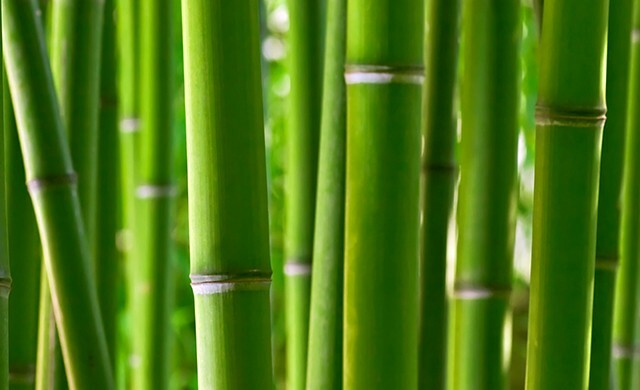 We believe in providing the nutrients your body needs to strengthen your hair, nails, and skin. Take control of your health with a simple supplement. Shop Hair Detox today to experience the difference.